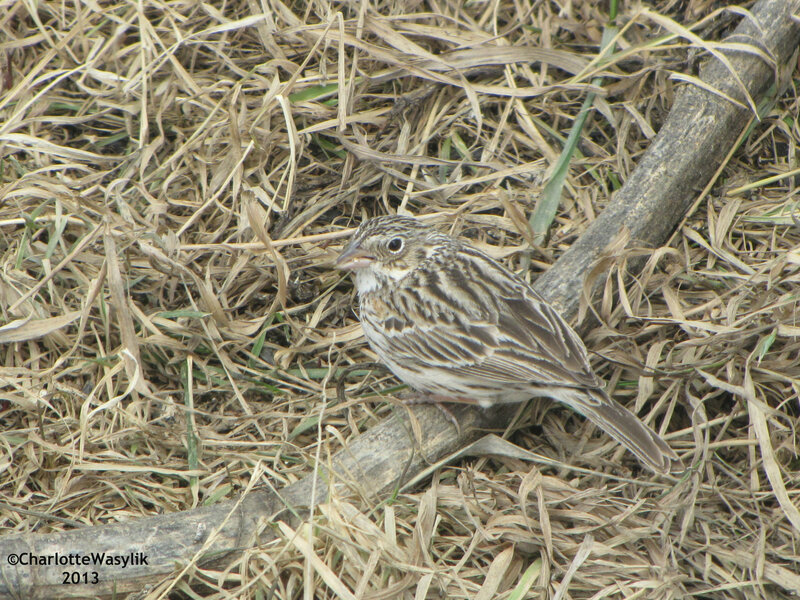 I saw my first of season Vesper Sparrow at my feeders yesterday afternoon, and I saw one in the evening too. I think it might be the same bird. 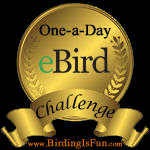 This entry was posted in Alberta Birds, Birding, Blogging, Canada Birds, Feathers on Friday, Feeding Birds, General Birding, Nature, Spring, Spring Migration, Year List and tagged Feathers on Friday, Vesper Sparrow. Bookmark the permalink. The vesper is usually one of the first sparrows to arrive in our area, the tree sparrow being the first. I always eagerly await the melodies of the song sparrow! Such a wonderful photo! Have a great weekend! Lovely little vesper, Charlotte! You can even see the chestnut shoulder patches! Vesper Sparrows are so very pretty. I spotted a few on a beach in Chicago a few days ago. Wonderful photograph!